petizione: Tell HBO To Bring Back Lawrence! Tell HBO To Bring Back Lawrence! It's been a difficult summer, but there's light on the horizon — Insecure is coming back to HBO for Season Three! The new season starts on August 12 and we're counting down the days. It looks like the rumors floating around the past several weeks are true. Lawrence isn't coming back for another season of Insecure. How is this even allowed? This mess needs to be cleaned up! Not only because Jay Ellis has a huge and devoted fan base, but also because Lawrence is an important and complex character that we need to see more of. It's time to get LOUD to bring him back! SIGN and SHARE this petition to make HBO bring Jay Ellis back to Insecure — or give Lawrence his own show! Lawrence was something new for TV. He's a strong black man who also isn't afraid to be emotionally vulnerable. (And uh, it also doesn't hurt that he's pretty hot too…) Over the past two seasons, Jay Ellis has portrayed the conflicted and realistic ways Lawrence has dealt with difficult and rarely explored issues for men such as infidelity, male friendship, depression, and toxic masculinity. We want Lawrence back on Insecure — but if he can't come back then HBO should give him HIS OWN SHOW! Sign the petition to make sure HBO hears from every Insecure and Jay Ellis fan right now. Last year, Insecure's raw season finale showed Issa and Lawrence finally reckoning with their painful break-up — ending in an emotional fantasy sequence that imagines them getting back together. But instead of getting back together, Issa and Lawrence go their separate ways. While we are excited to see what's in store for Issa, we REFUSE to allow this to be the end of Lawrence's story. We know if we can get enough fans to sign, we can convince HBO to finish Lawrence's story on Insecure! 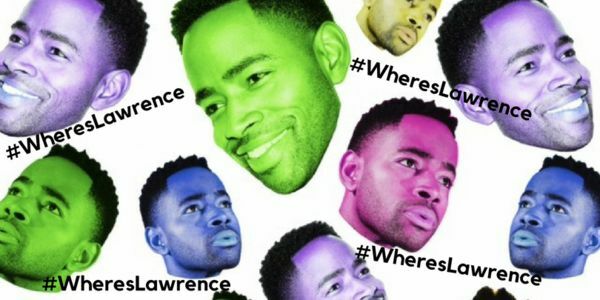 Sign our petition to HBO pleading for Jay Ellis to return as Lawrence — then SHARE far and wide so that everyone who loves Lawrence can have their voice heard. We want Lawrence back! We're also almost to 10,000 signatures so please SHARE the petition everywhere so fans of Jay Ellis and Insecure can join us!